Sign up and log into ifttt.com and link your Genius Hub, if you’ve not done so already. Click on your username in the top right and select “New Applet”. You should be greeted with “if this then that” in big letters. Click “this”, search for your device/app (e.g. ‘Genius Hub’) and pick a trigger that will start your applet. Then click “that” and follow the steps to pick an action for your applet to carry out. Choose a name for your applet, and whether or not to receive mobile notifications when the trigger fires. Click “Finish” to make your applet live. Note some fields may take a few seconds to load as they fetch data from your Hub. 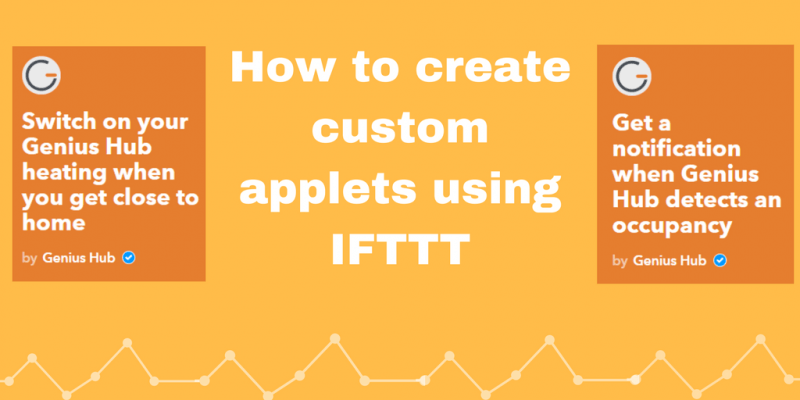 If you need any more information on how to set up IFTTT, have a look on the IFTTT web site or our support page. Feel free to let us know on Facebook or Twitter which clever applets you’ve created!